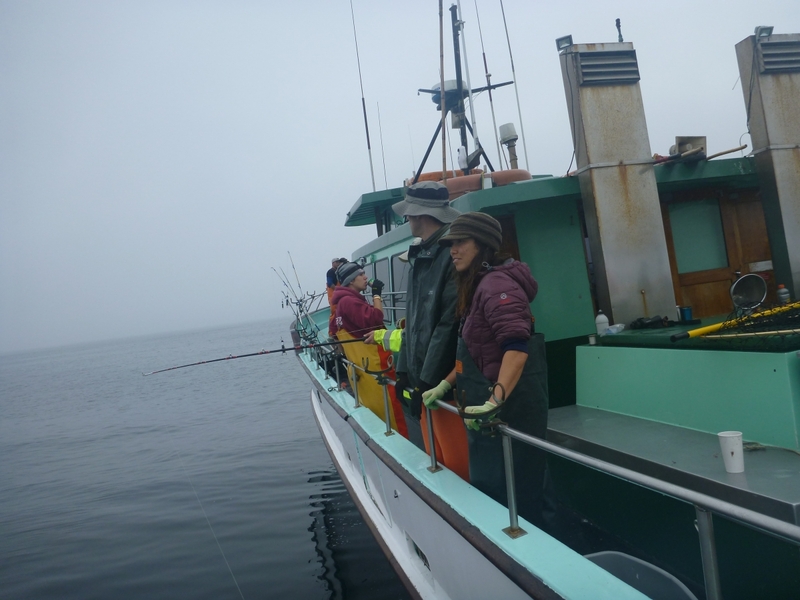 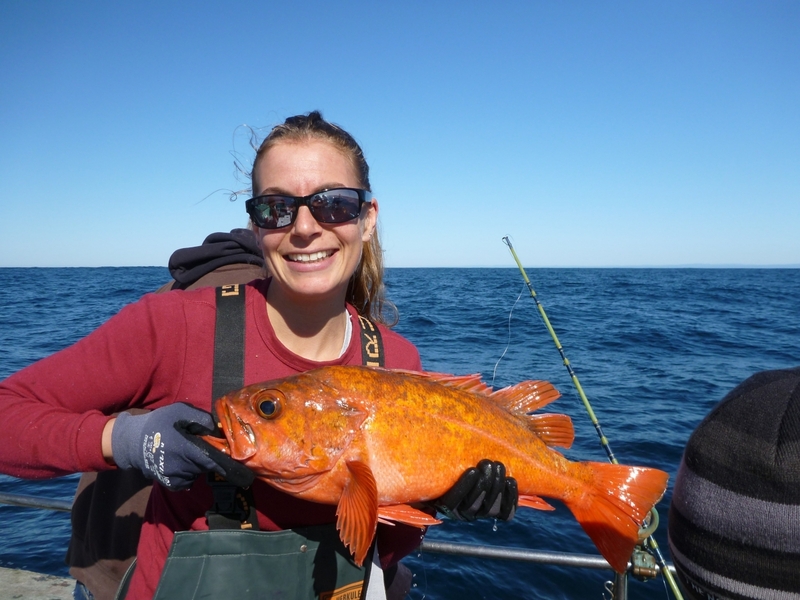 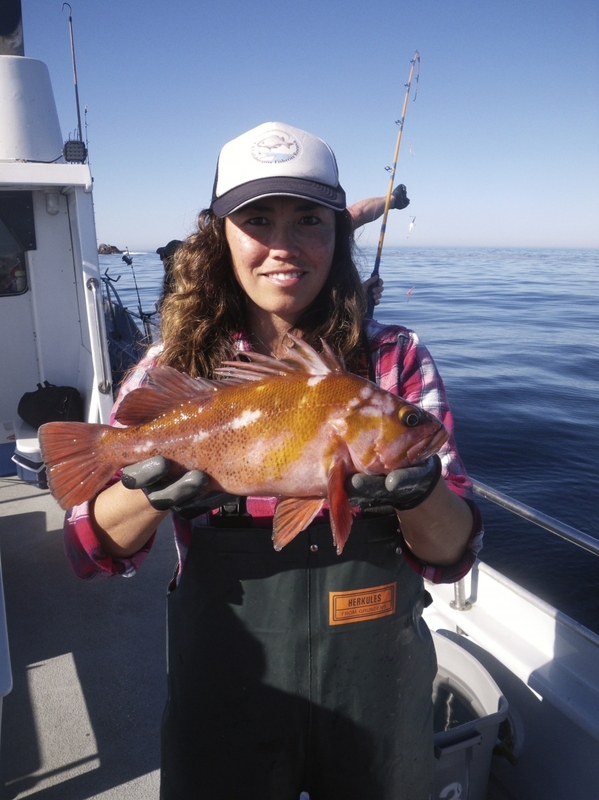 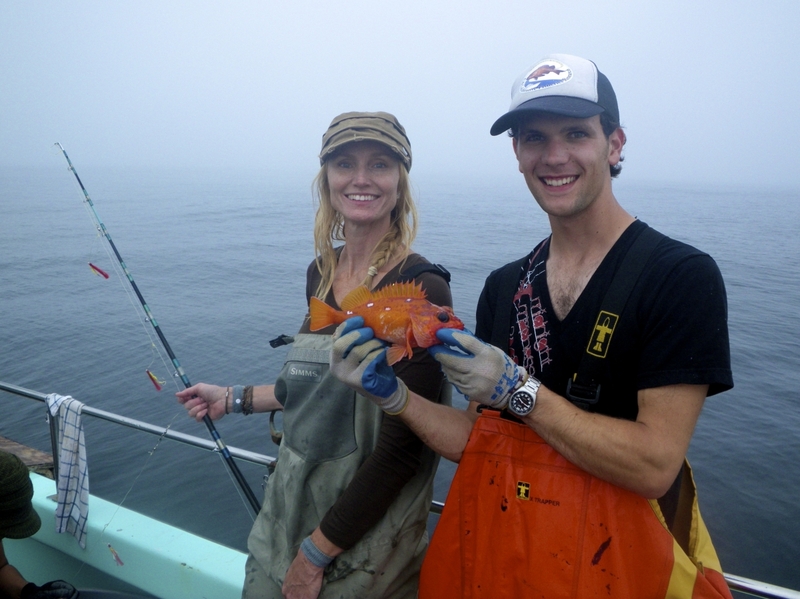 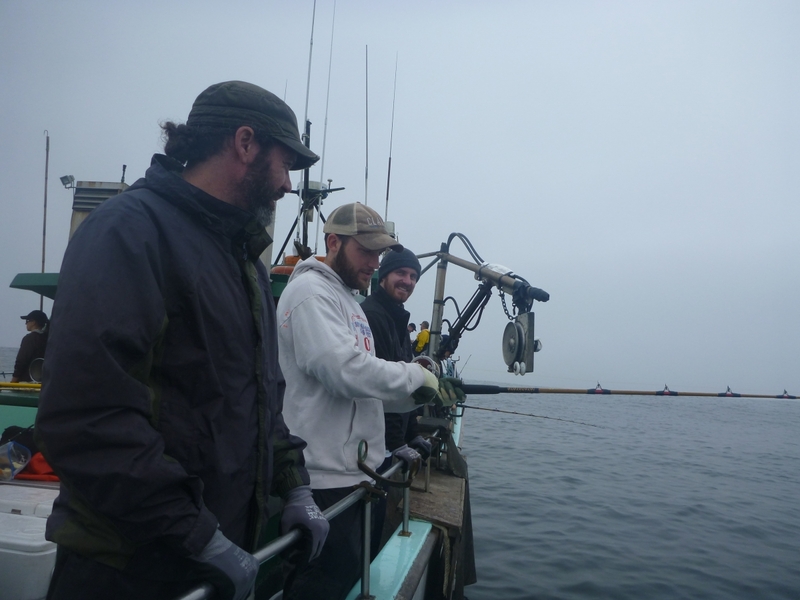 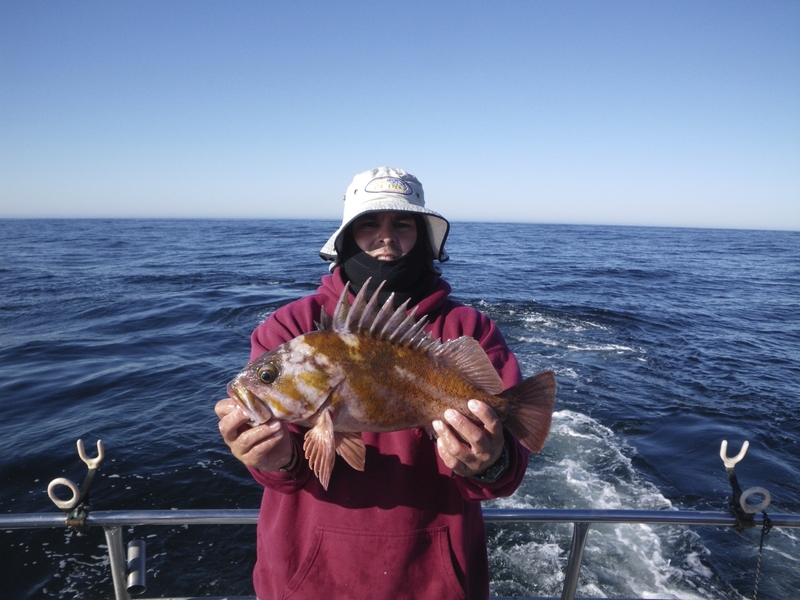 Between 2012 - 2014, the MLML Fisheries and Conservation Biology lab set out to survey central California Rockfish Conservation Areas (RCAs) with hook and line fishing gear in order to directly compare with data collected by the California Department of Fish and Game (CDFG). 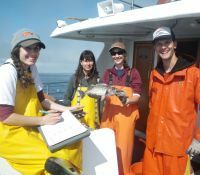 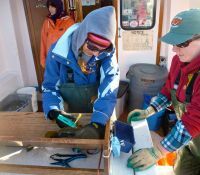 From 1987 to 1998, (CDFG) placed staff on sportfishing boats to record fishing effort, species caught and length information of fishes captured from pre-RCA fishing grounds. 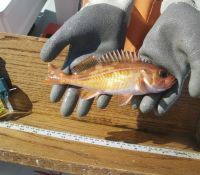 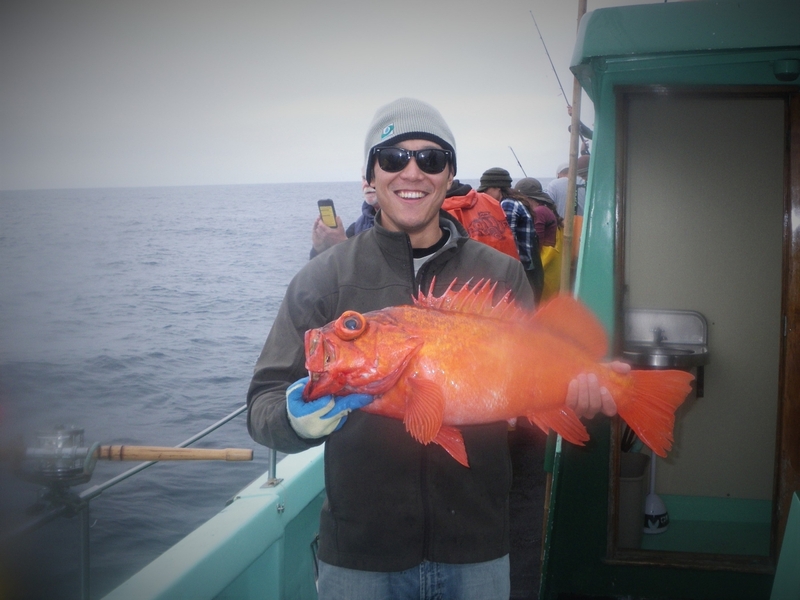 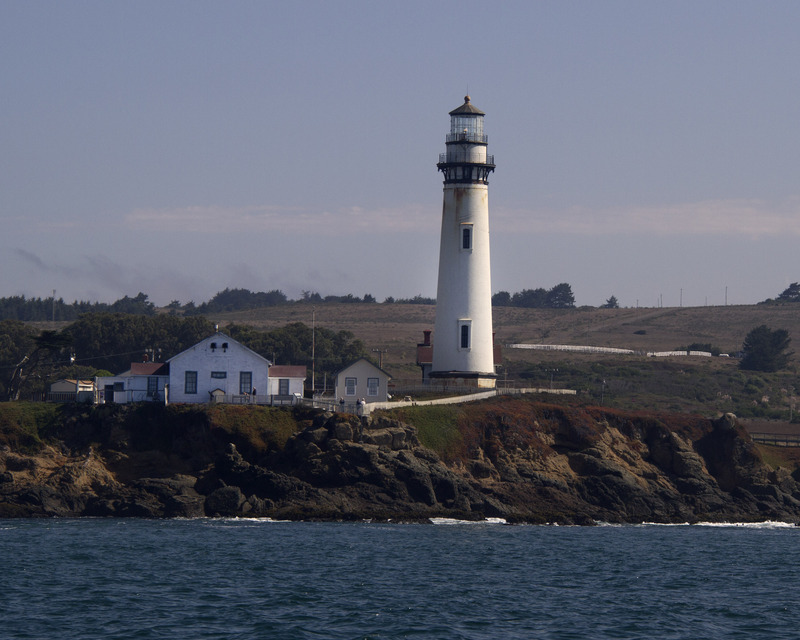 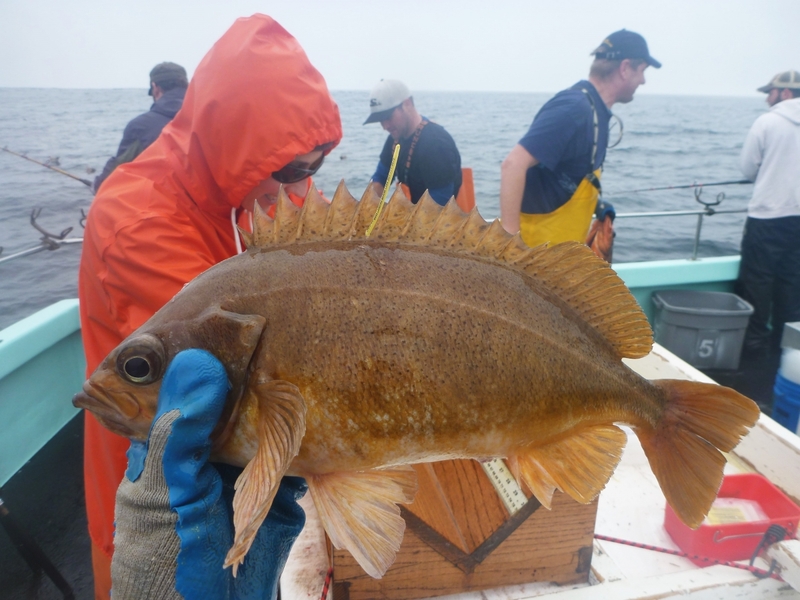 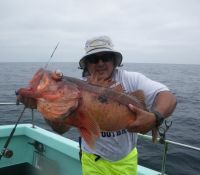 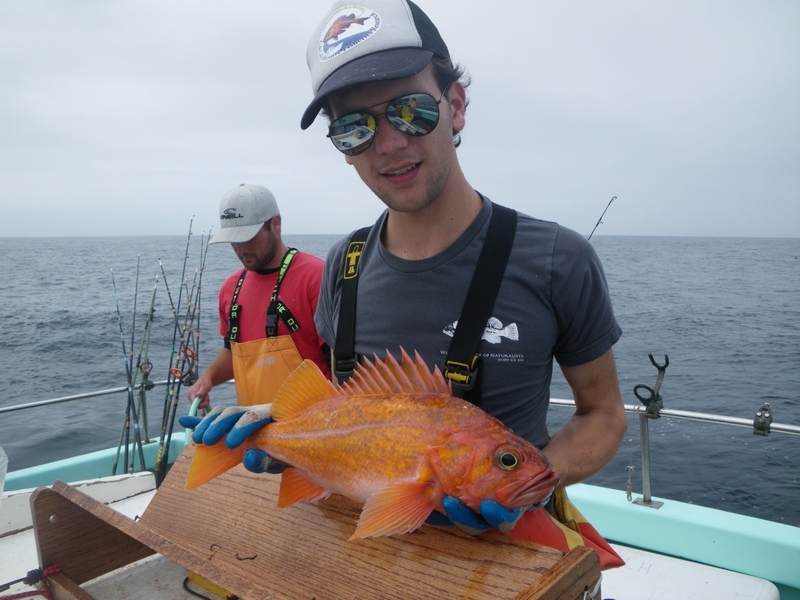 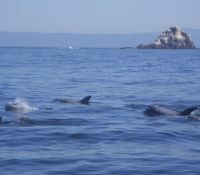 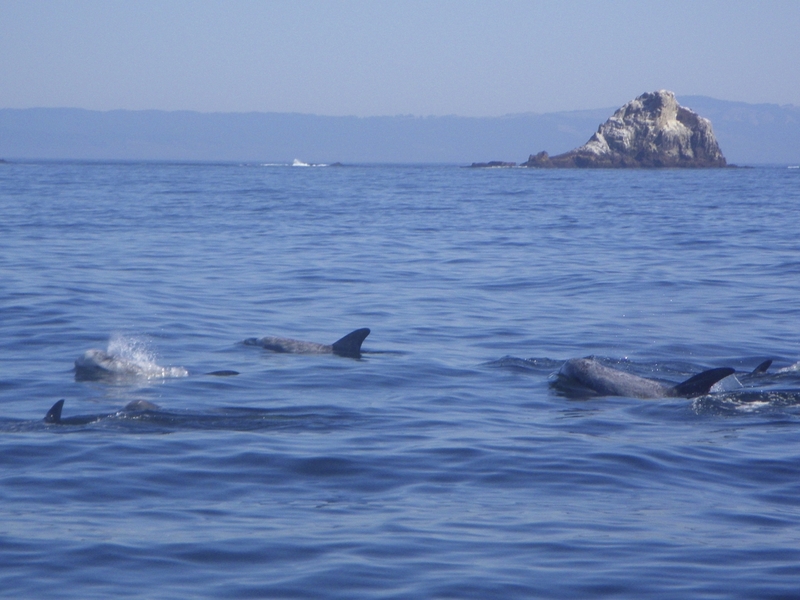 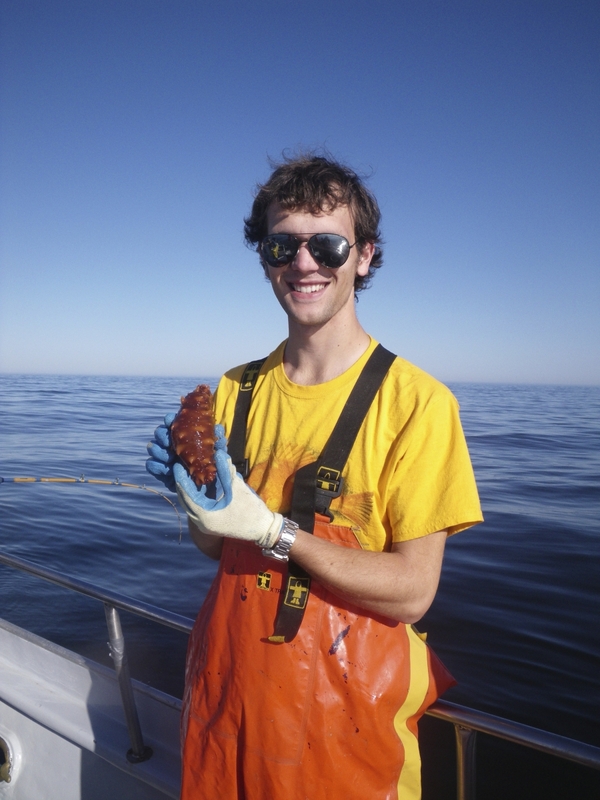 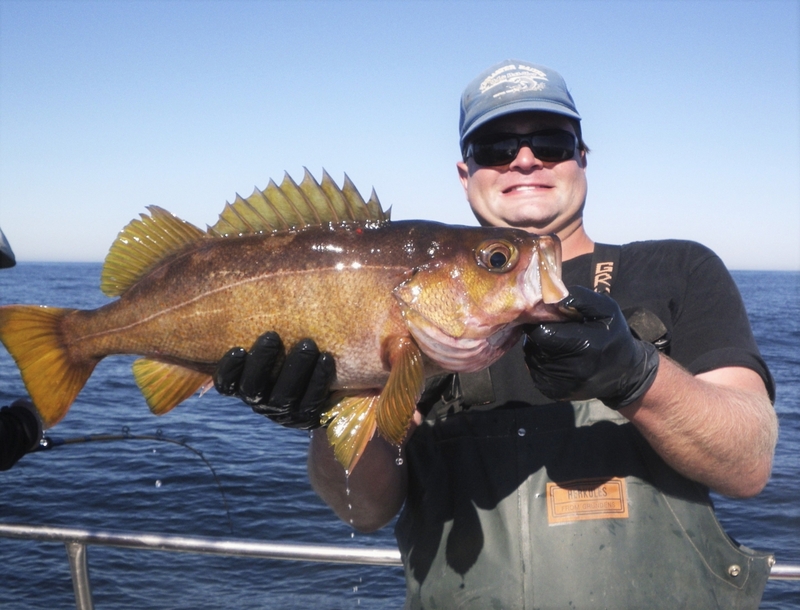 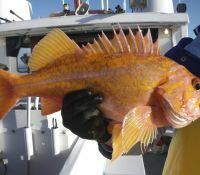 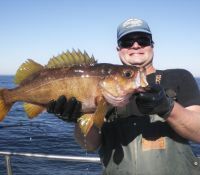 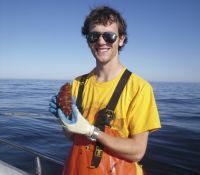 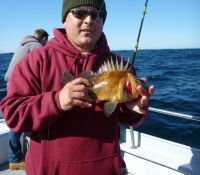 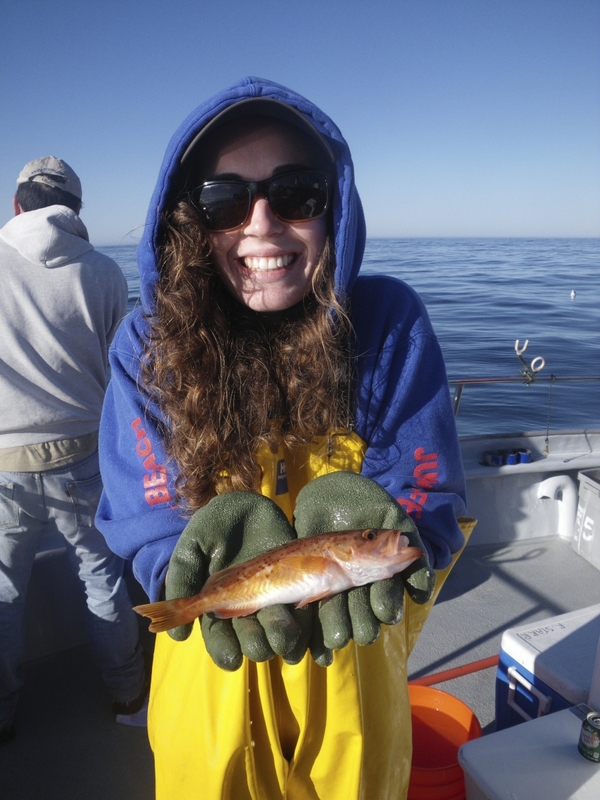 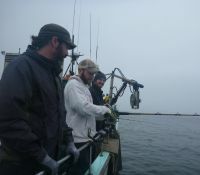 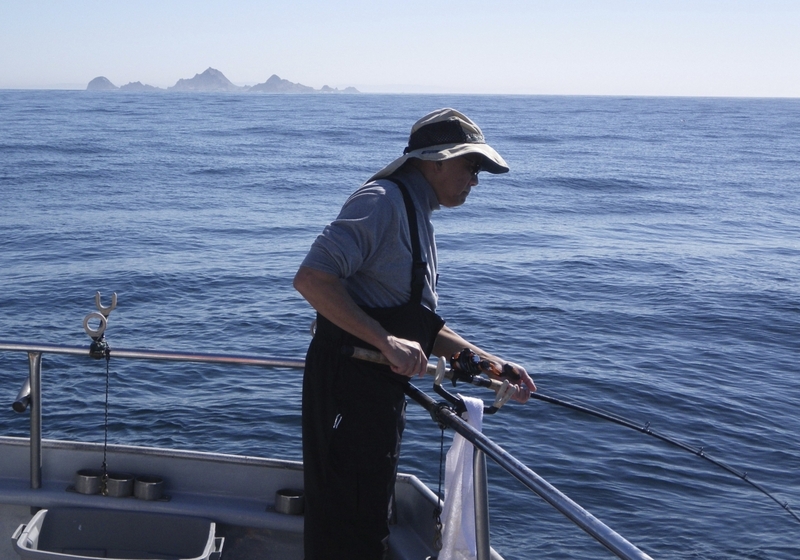 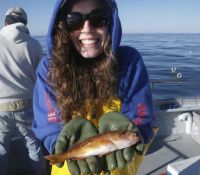 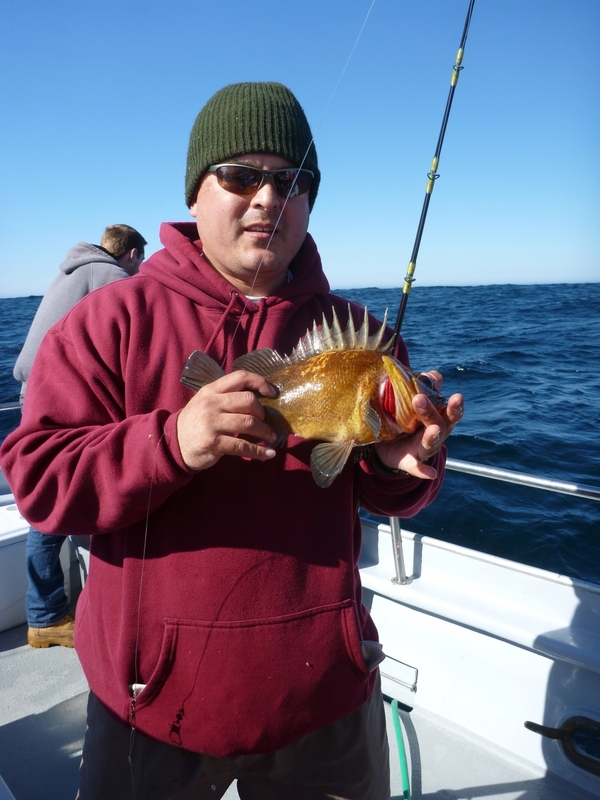 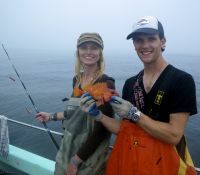 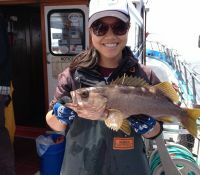 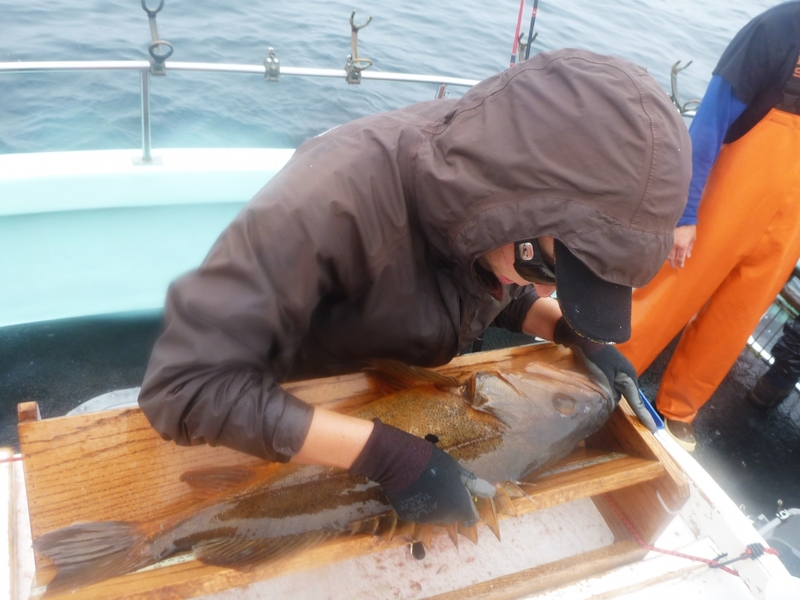 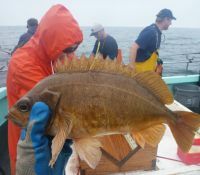 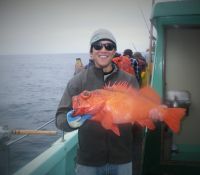 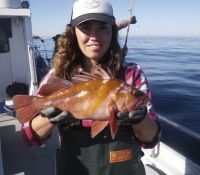 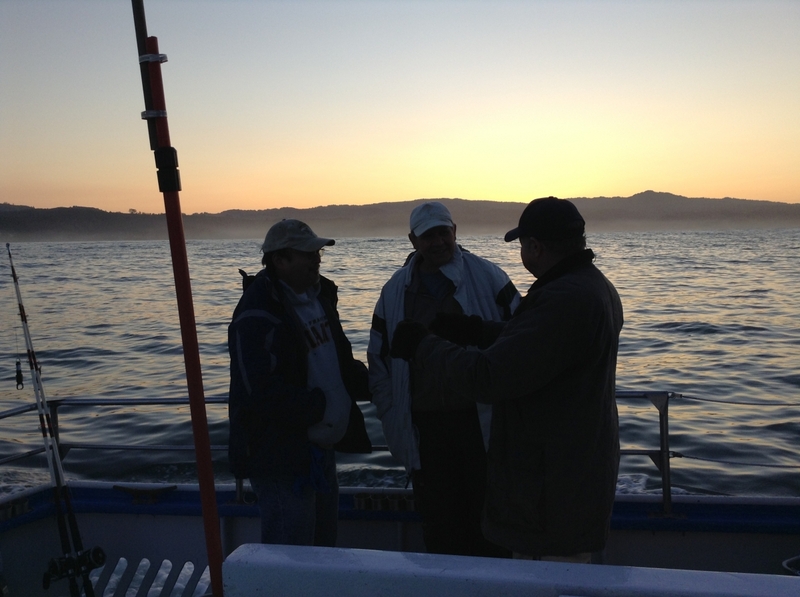 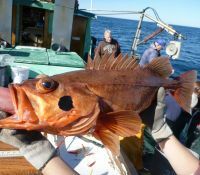 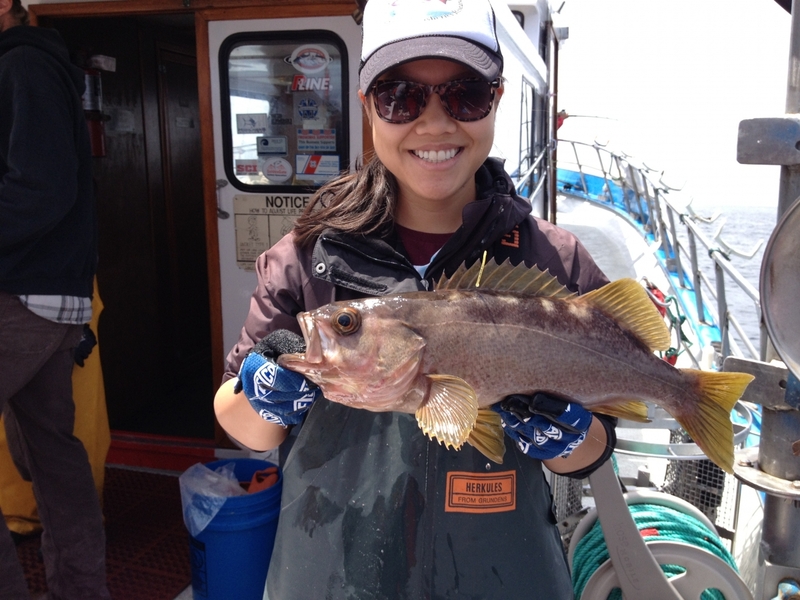 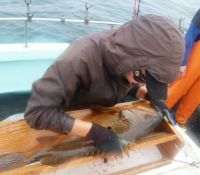 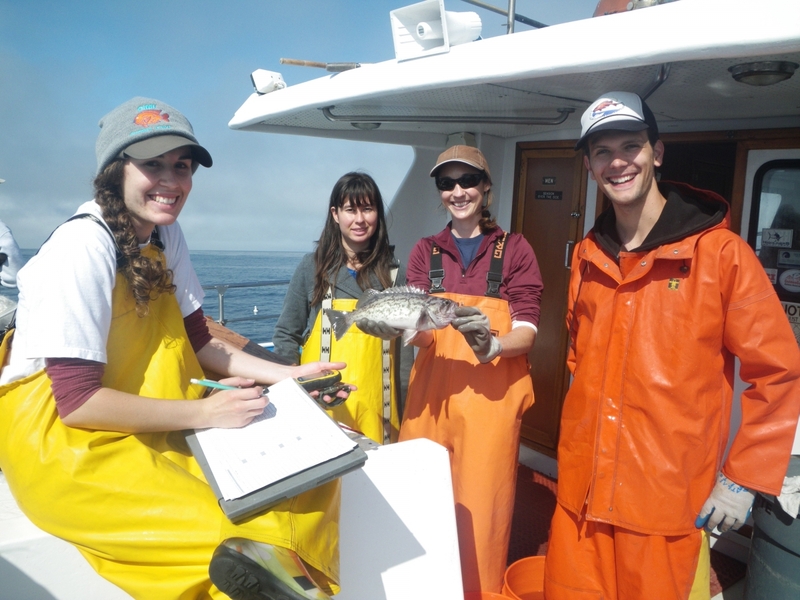 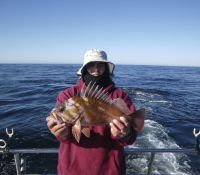 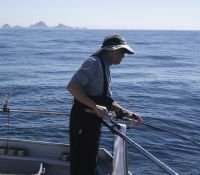 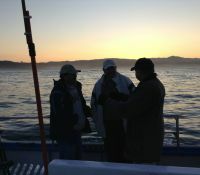 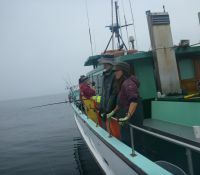 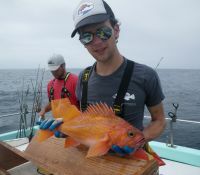 In conjunction with NMFS, Cordell Bank National Marine Sanctuary and CDFG, the FCB lab conducted similar research fishing trips off Cordell Bank, the Farallon Islands and Half Moon Bay to assess potential changes in catch rates, species compositions and lengths of fishes since the RCA closure. 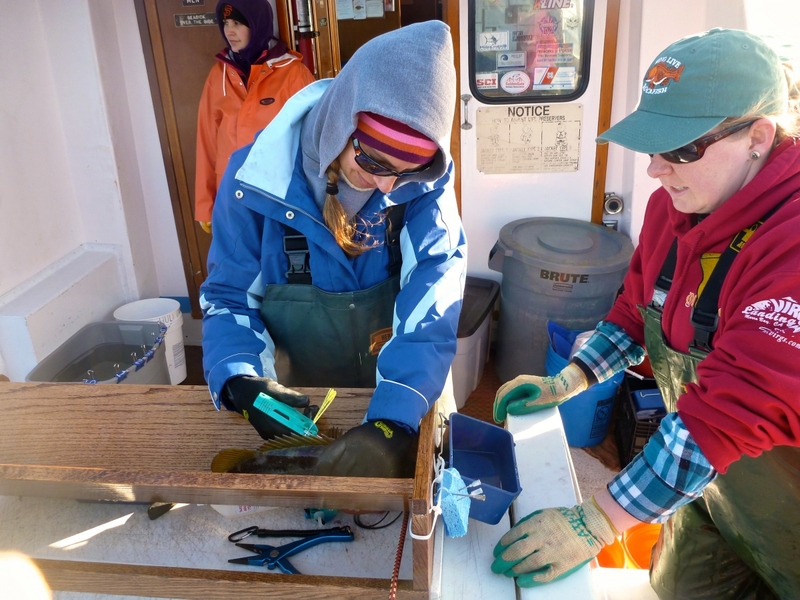 We reproduced CDFG's survey protocols (1987-1998) and compared newly collected data (2012-2014) with those from the study conducted over a decade ago. 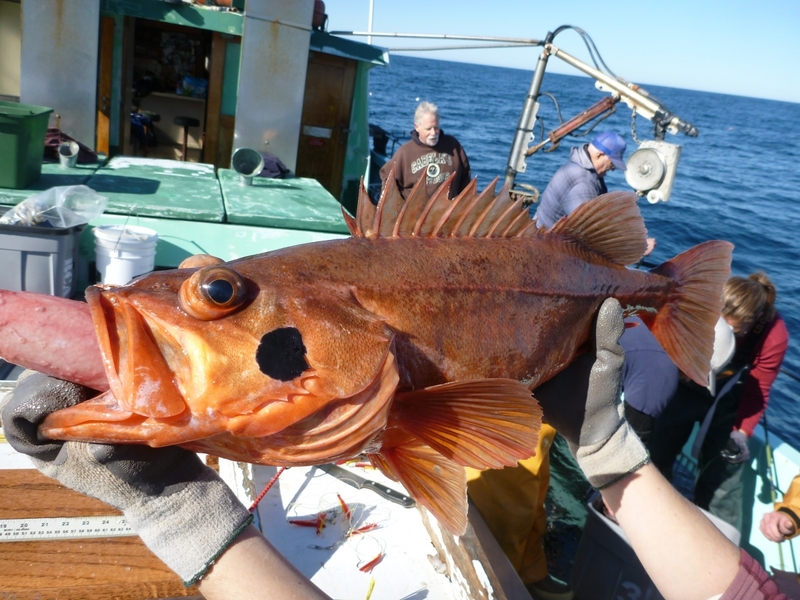 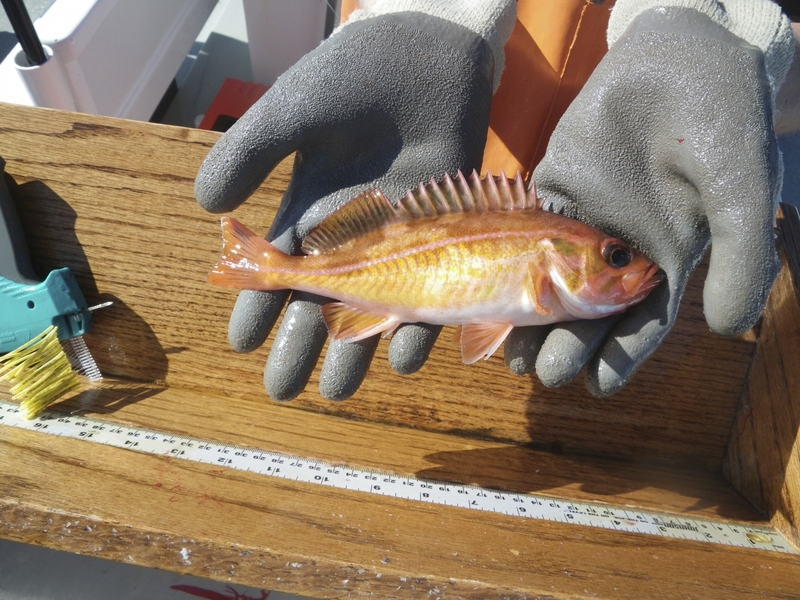 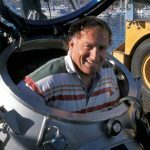 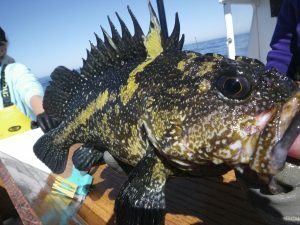 This not only enabled a comparison of pre- and post-closure conditions but also provided an opportunity to assess the efficacy of this RCA closure by evaluating its impact on rockfish populations from central California over time. 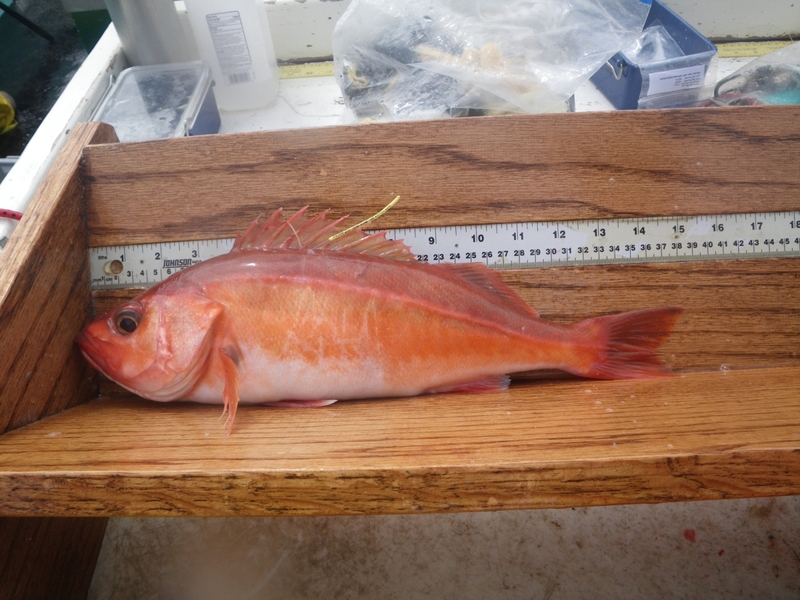 At all sites surveyed, total catch rates from the new surveys (2012–14) were significantly higher than catch rates from before RCA implementation (1995–98). 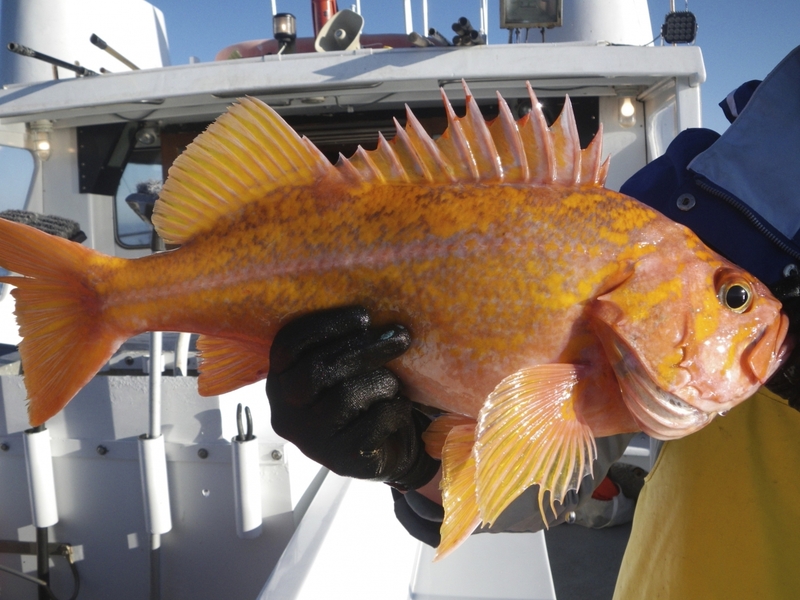 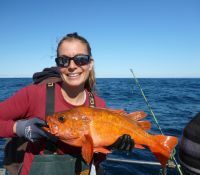 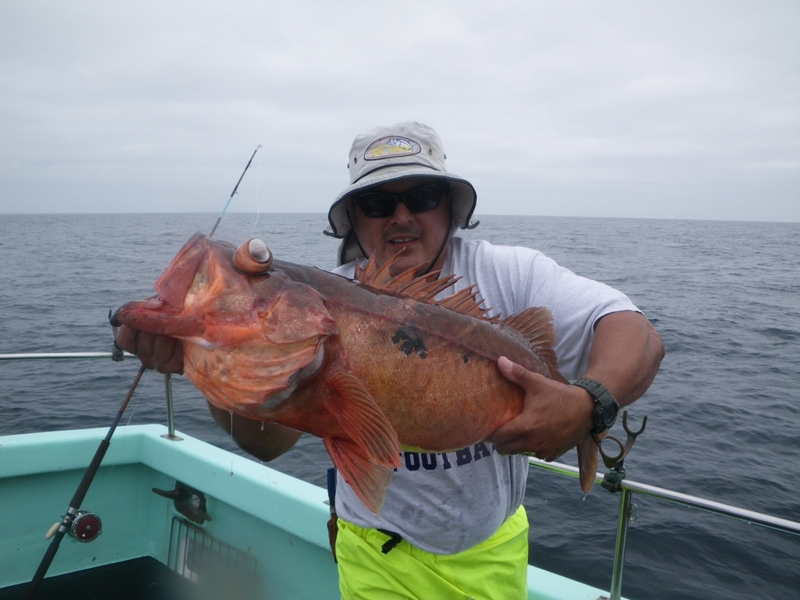 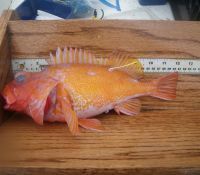 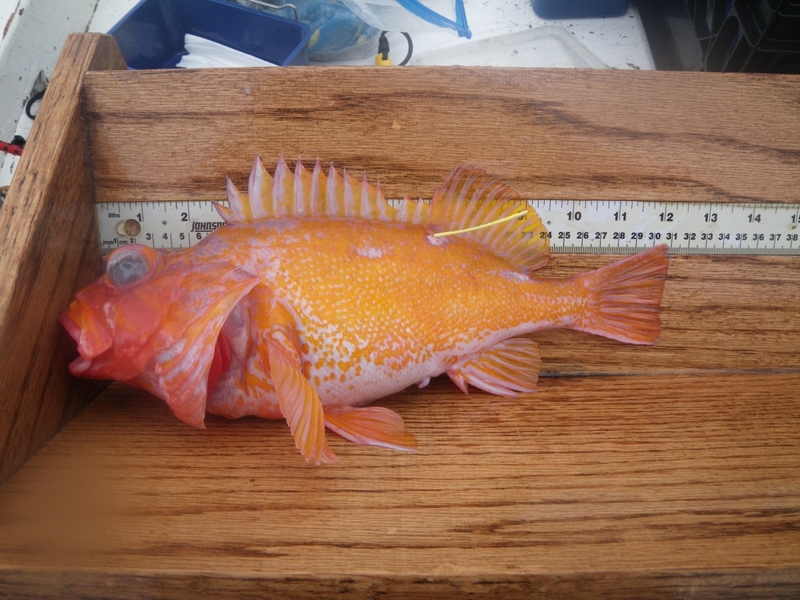 The majority of the differences were due to the increased relative abundance of yellowtail rockfish (Sebastes flavidus), although other species, including the overfished canary rockfish (Sebastes pinniger), also increased. 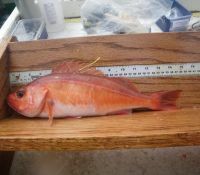 Differences in the size composition of species between the two time periods reflected both the increased survival of older fishes and higher recruitment success in the past decade.